Joan Phyllis DeRosa, 82, passed away Tuesday, February 5, 2019. She was born in Jamaica, NY on July 28, 1936. Joan graduated from The Mary Louise Academy High School in Jamaica, NY, she received a BA from Hofstra University in Hempstead, NY and a certificate in secretarial studies from Katherine Gibbs Secretarial School and studied French at the French Institute in Manhattan. Joan ran 2 New York City marathons, was active in the Glen Cove, Long Island Chapter of the Lions Club. She traveled extensively throughout her life in Europe, South America, the Far East and the US. She moved to Cary, NC in 1994 where she worked as a contractor in the facilities department at Blue Cross Blue Shield for 17 years. 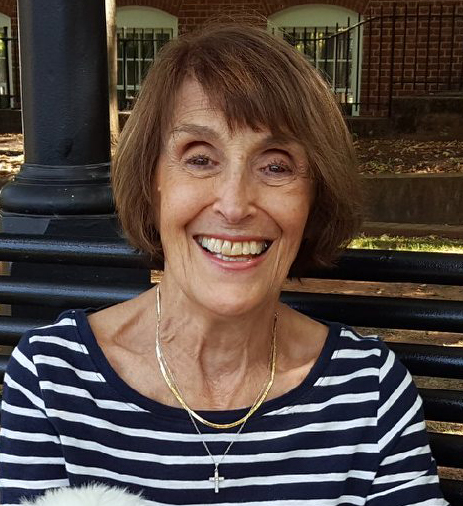 After retirement she did volunteer work for Dorcas Ministries, Moore Square Ministry, the Flower Shuttle, Theater in the Park and NCT as well as taking a variety of classes through NC State OLLI program and continuing her world travels. A Funeral Mass will be held 10:00 am, Monday, February 18, 2019 at Sacred Heart Cathedral, 200 Hillsborough St, Raleigh, NC 27603. Her only surviving family are cousins: Thomas Emma of Manhasset, LI and Elizabeth Walsh of NYC.